A longtime favorite of off-road runners, the lighter-weight neutral GEL-FujiTrabuco 6 model inspires you to hit the trails with its winning blend of cushioning, responsiveness and versatile traction. A trail-specific outsole, rearfoot GEL technology and protective toe bumper take on the roughest terrain while a lace garage, gusseted tongue and rock protection plate ensure a fit that blocks out debris. 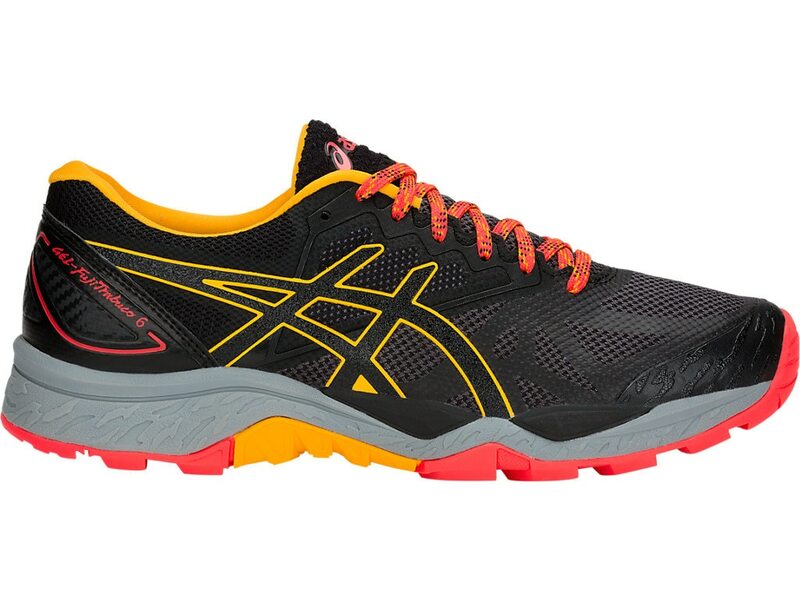 GEL-FujiTrabuco 6 is a shoe warrior that not only beckons to go off road, it equips you for success.